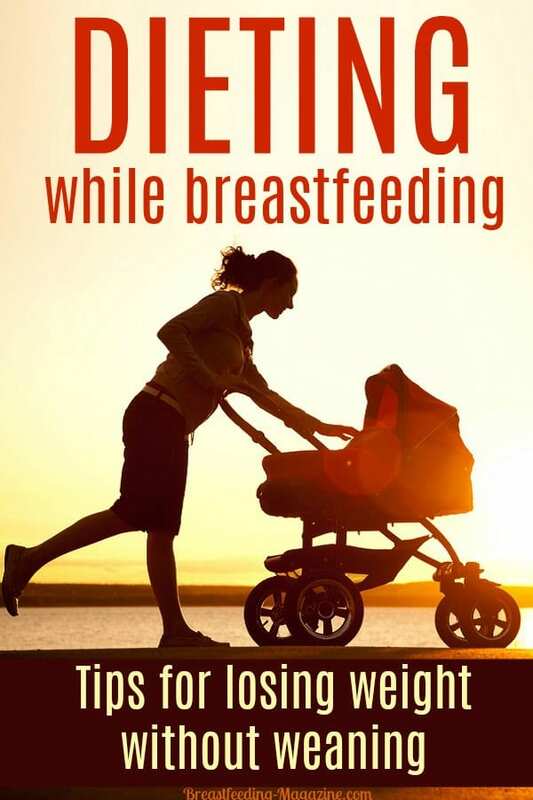 Need some help dieting while breastfeeding? While we think moms are beautiful in every shape and size, we also recognize that some moms really stress about trying to lose weight after they give birth and even resort to weaning their baby just to try to get their body back. Well, whether you are looking to get that fabulous figure back or want to finally get that fabulous figure that you never had– losing the extra weight may mean going on a breastfeeding diet. However, please don’t wean your baby just for this. You CAN lose weight safely while breastfeeding and it may even help the process! 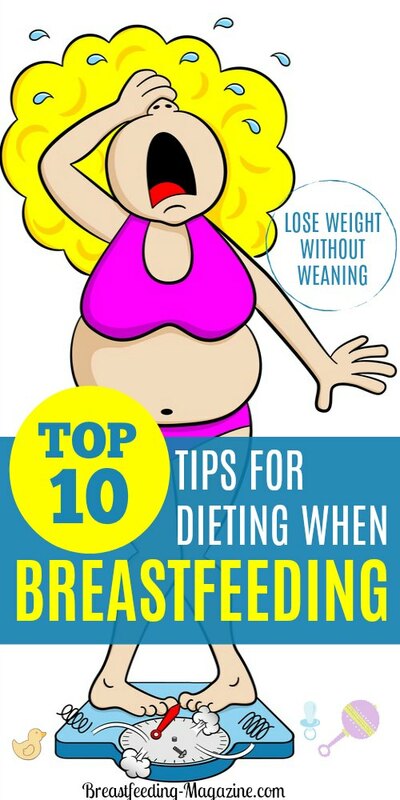 To make sure that losing weight while breastfeeding is healthy for you or and the baby, here are ten tips you need to know regarding how to lose weight safely without needing to wean your child. Your breasts need time to make a healthy supply of milk for the baby. If you restrict your calorie intake too early, this can reduce the amount of milk your body produces. When you are dieting while breastfeeding, you will need to eat at least 1,800 calories every day. If you consume less than that, the quality of your breast milk could suffer. After the initial 60 days, try to lose no more than 2 pounds per week. It is safe to lose this amount without risking your breast milk supply. Take care not to lose more than this while breastfeeding. If you don’t eat or drink enough, your body may try to conserve resources and your milk supply may decrease. You may be tempted to try weight loss supplements, liquid diets and other “quick fix” diet programs. Resist this urge. While breastfeeding, it is important that weight loss happens as naturally as possible so you can make sure that your milk quality is good and your body is healthy! An easy way to lose extra pounds safely on a breastfeeding diet is to eliminate the junk food from your diet. Sodas, cakes, chips and other foods of this type do very little for you or your baby’s health. Cut them out of your diet and some pounds will drop off naturally. 7. Water. Water. More Water! Water is critical to breast milk production. While nursing, make sure to drink at least 8 glasses of water each day! Try not to quench your thirst with sodas and other sweetened drinks. We all want our figures back. We are all tempted to workout aggressively to get it back. Don’t do it. While nursing, your body needs to conserve energy. Start slowly. Begin with 10-15 minutes a day and slowly increase your routine. It is hard enough to fit in a shower…so exercising while nursing is difficult to schedule. But, with discipline and planning, it can be done. Plan ahead so you can begin working out right after your baby is finished with a breastfeeding…that way your baby will be satisfied and content long enough to finish your routine. It may sound silly, but some babies do not like their mommy to be sweaty when they nurse. So try to clean up right after exercising or have some baby wipes nearby before trying to breastfeed your baby. 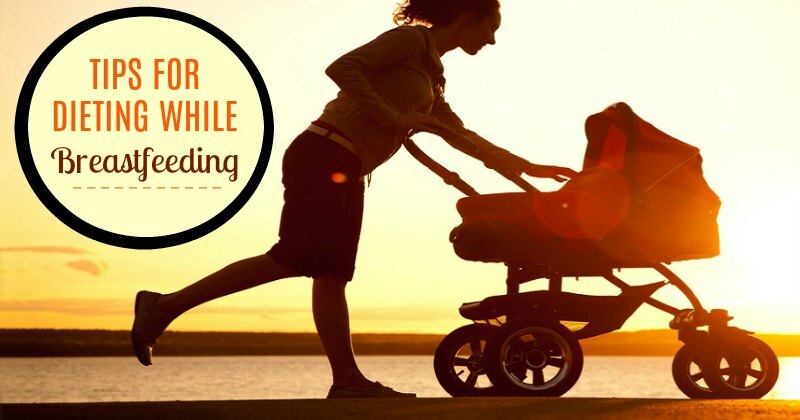 Bottom line…you can safely lose weight while nursing your child without needing to wean. If you are planning on dieting while breastfeeding and follow the tips above, you can drop the excess weight without compromising your body’s milk supply and still keep your baby’s feeding schedule is from being unnecessarily interrupted. You are sure to have your figure back in no time! …..or see what foods to avoid when breastfeeding? …or is a low carb diet safe for breastfeeding moms? 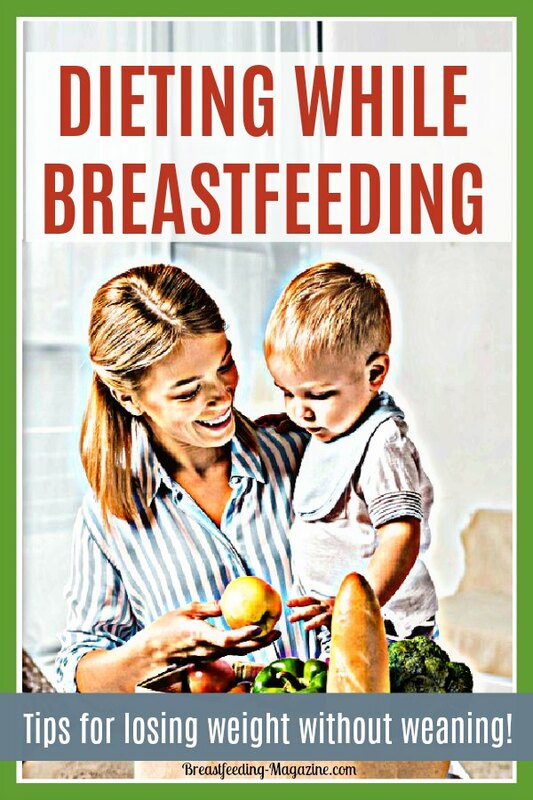 ….or find out what nursing moms SHOULD be eating?